I recently started a new job and I had the chance to go on a business trip to Toronto. Of course I had to use this opportunity to try as much food as possible. 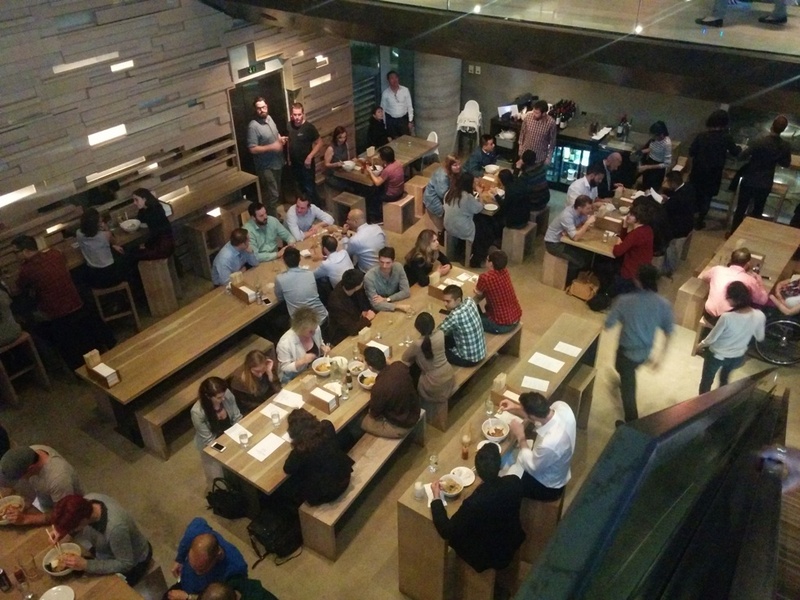 Momofuku is a chain restaurant from New York and their only location in Canada is in Toronto. Momofuku is located inside the Shangri-La Hotel and they take up 3 floors. The noodle bar is located on the first floor. The seating area consists of some communal tables and it’s very spacious looking compared to places I’ve been to in Vancouver! But then again this is a famous restaurant chain and they’re inside a hotel. 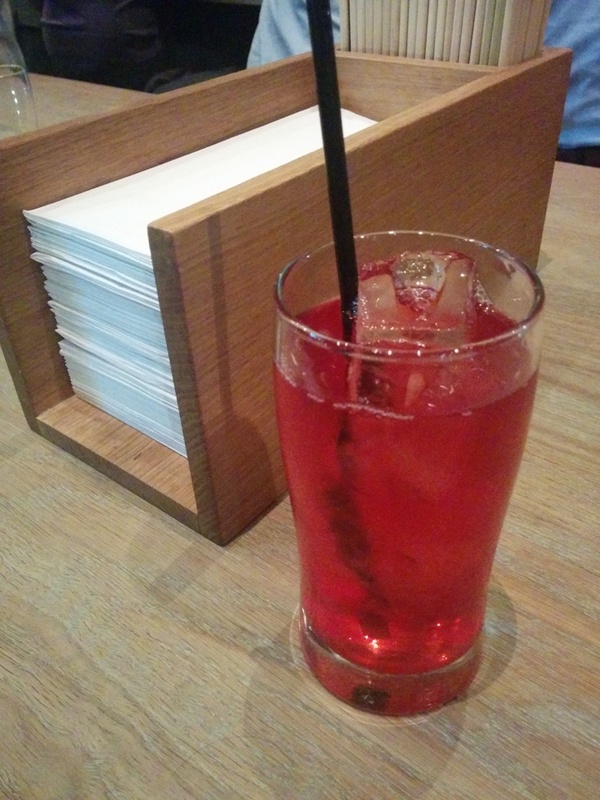 This was the Iced Cranberry, a non-alcoholic drink with rosemary and yuzu. The flavours were refreshing with hints of rosemary at the end. 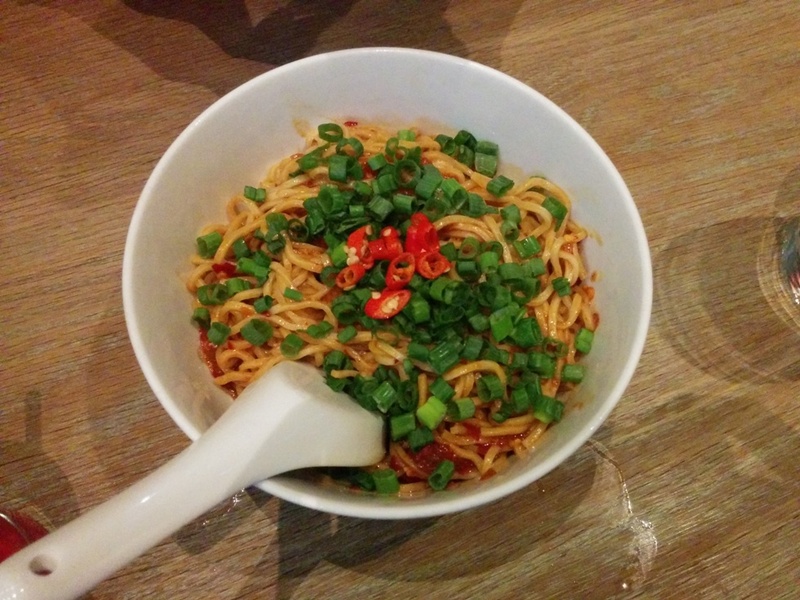 My dining companion was Indian, so she was intrigued by the Very Extremely Spicy Noodles with Sichuan chili, zha chi and scallion. The portion was on the small side and I only sampled a little bit but the noodles were chewy and the sauce is basically Sichuan chili sauce and there is no broth. 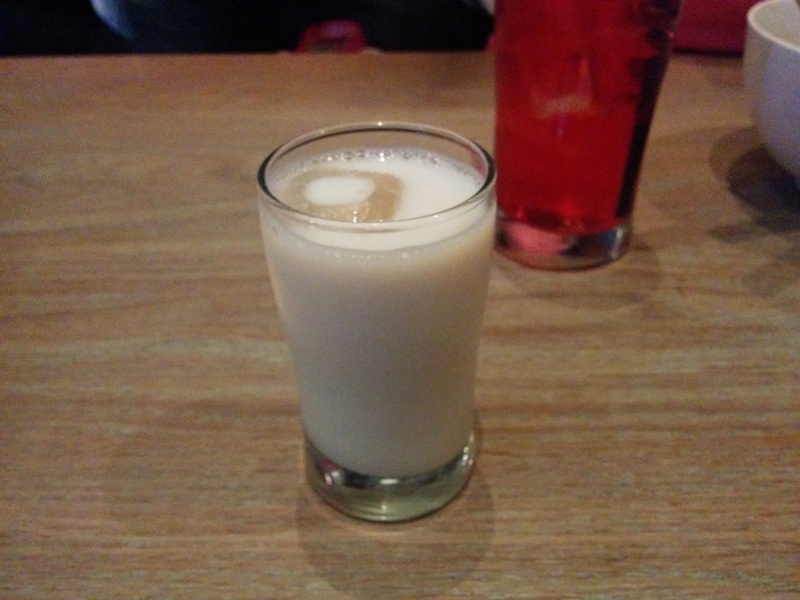 Since it is so spicy, they even provide a small glass of unsweetened soy milk to help with the spiciness. My dining companion had no need for this though due to all the Indian spices she’s had! I had the Momofuku Ramen with pork belly and shoulder, fish cake and egg. Priced at $16, I had high expectations for this! It was also the most expensive ramen I’ve ever ordered. There was also some pickled cabbage on the side and some kind of sauce in the middle. 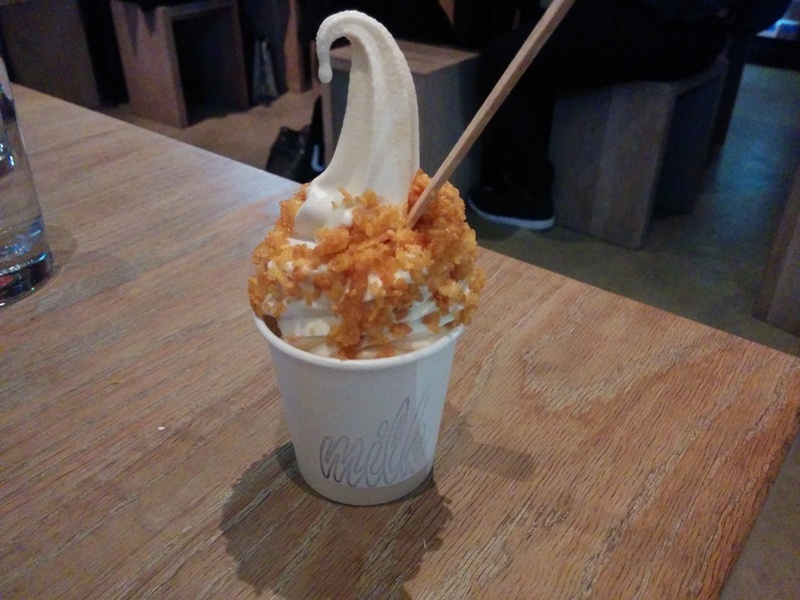 After the disappointing ramen, I tried their Cereal Milk soft serve. I’ve seen this a lot on Instagram and soft serve is all the rage these days. The other rotating flavour that they had was cranberry limeade and you can choose to have a twist with both but it was a lot more expensive at $11 and the size would be the same. The Cereal Milk tasted as advertised and I’m not a huge fan of cornflake in food but these cornflakes were actually pretty good. They seemed extra crunchy and went well with the soft serve. Usually I wouldn’t order a flavour called cereal milk since I don’t really eat cereal or drink the milk after but since it’s so popular I had to try it. My experience here was just so underwhelming but now I can appreciate the ramen that I’ve had a lot more. I’m sure Toronto also has other great local ramen joints but too bad I didn’t have time to go. 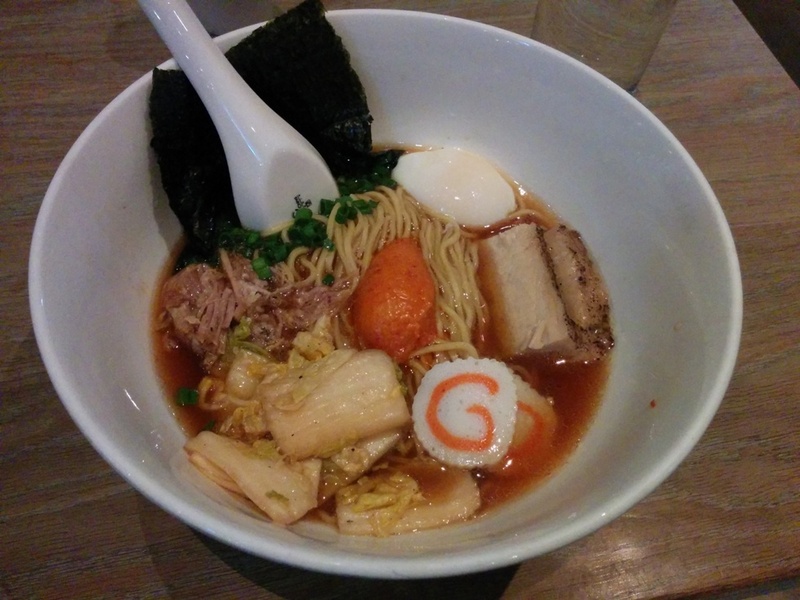 This entry was posted in Food Reviews, Japanese and tagged Momofuku Noodle Bar, ramen, soft serve, Toronto.